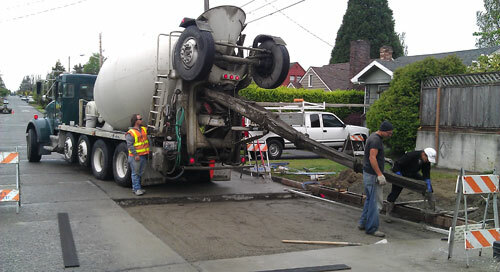 When it comes to concrete sidewalk construction in Sumner, WA, Cook's Concrete Construction Co. Inc. has been the #1 choice of property owners since 1945. Our company specializes in concrete sidewalk installation, replacement and repair. Fully licensed and bonded concrete contractors, we handle residential, commercial and municipal jobs. We can be hired for concrete sidewalk construction in Sumner and in any urban space, including residential areas, public parks, industrial facilities and along roads or streets. Call us today to know more about our capabilities, as well as to discuss the concrete sidewalk designs we can create. Thinking of laying a concrete path around your house? Get in touch with us. We assure you of constructing a concrete walkway that is efficient and stays strong year-after-year. Our company offers you highly customized services for concrete walkway construction. We work closely with you to evaluate all relevant factors, such as location, design style, dimensions and weather, so that the concrete pathways in your yard are exactly what you need and want. Our capabilities go beyond installation, repair and replacement of a concrete sidewalk or concrete walkway. 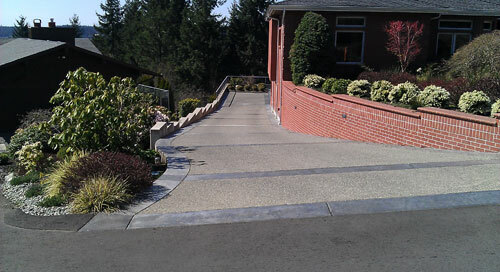 We also specialize in concrete driveway installation and resurfacing. Feel free to give us a call if you are on the look-out for a competent contractor to construct a concrete driveway on your Sumner home or business property. Whether you are interested in a traditional or stamped concrete driveway, we are expert at installing both. We make sure that our concrete driveway repair and resurfacing jobs are handled with similar commitment to quality workmanship. 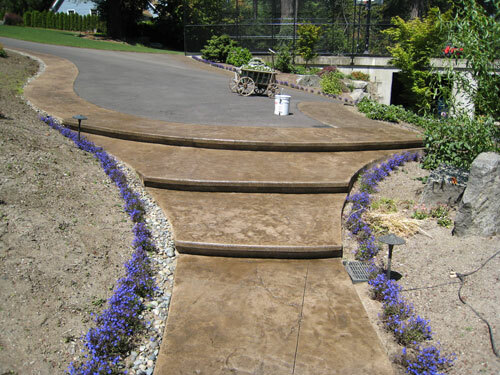 Dial (253) 777-1901 to hire the experts at Cook's Concrete Construction Co. Inc. for installs or repairs of a concrete driveway, concrete sidewalk or concrete walkway in Sumner.